The outside of your home is a special space. It is a place where you can make memories that last a lifetime. Our designers will custom design your perfect outdoor space. Whatever you can imagine, we are here to help bring your dreamscapes to life with elegant form, customized designs and timeless distinction. The possibilities are endless. We have a vast array of colors, sizes, textures, and patterns of bricks. We use top of the line products that are built for durability and any weather condition. We have a wide range color palettes available that provide you with many choices for any patio design. 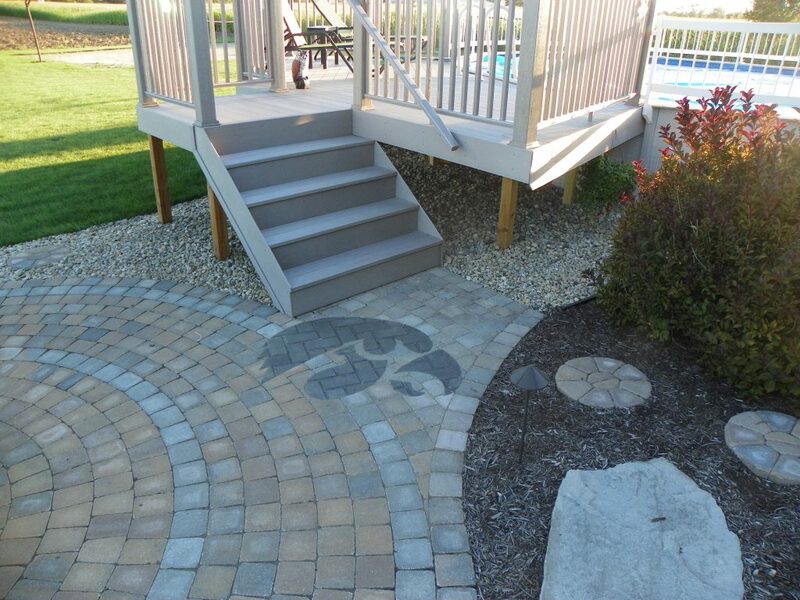 Although we don’t recommend an Iowa Hawkeye, we have installed them before, as well as the much more famous BLOCK-O! 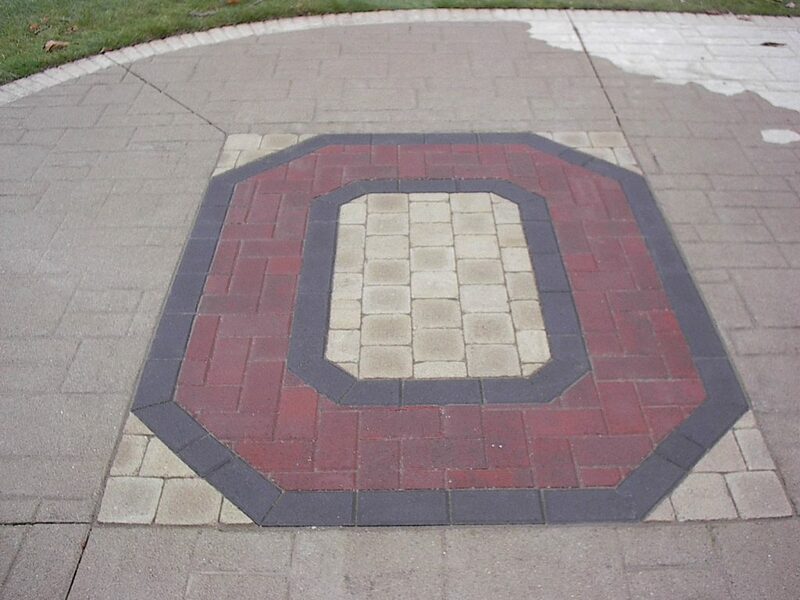 Our paver guys can do it all!